Pre-cut foam sheets that are quick and easy to use for layering between fragile items. 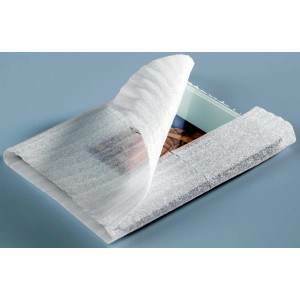 These sheets can be used to not only protect your items but used to fill in gaps and to bond irregular surfaces. 326834 1/2" x 28 1/4"
326835 1/2" x 28 1/4"
326837 1/2" x 33 1/4"
327897 1" x 25 1/2"
327898 2" x 21 1/2"
182894 2 3/4" x 8 1/2"
7974 4 1/4" x 8 5/8"
7980 5 1/8" x 10"
7982 5 1/2" x 10"
7966 6 1/2" x 10 1/2"